One of the most common task in Java is to parse String to Dates and even though Java provides a utility class called SimpleDateFormat, its not safe to use in multi-threaded environment until you know how to use thread confinement to make SimpleDateFormat thread-safe. Many beginners either create new instance of SimpleDateFormat each time they have to convert String to Date or commit classical mistake of storing it in an instance or static variable, only to face mysterious issues later. Since most of the Joda Time classes are Immutable, you can use them easily and safely in concurrent application. Btw, if you are running on Java SE 8 then you should use new Date and Time API as it's going to be the standard in coming years and it will also remove the dependency on a third party library. 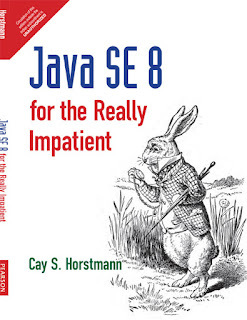 You can also take help of Java SE 8 for Really Impatient by Cay S. Horstmann to learn more about this new library, it's quite similar to Joda time. In order to use Joda-Time library in your Java program, you need to first download the JAR file from http://www.joda.org/joda-time/, or alternatively if you are using Maven then you can also add following dependency in your pom.xml and it will take care of downloading and managing dependencies for you. If you are not using Maven then just add joda-time-2.5.jar in your Java program's classpath by using either CLASSPATH environment variable or -classpath option of java command. Its very important to keep the JAR file at both compile time and runtime to avoid nasty ClassNotFoundException and NoClassDefFoundError. Once you done that, your IDE will guide you while using Joda-Time library. You can see on the spot Java documentation to decide which method to use and why. As I said earlier, if you are running on JDK 8, you should prefer new Date and Time API of Java 8 instead of using Joda date and time API. It's better to stick with standard JDK classes and API if possible. To learn more about this excellent date and time API, I suggest reading Java SE 8 for Really Impatient by Cay S. Horstmann, one of the better books to learn new features of Java 8. Create a date pattern using forPattern() method of DateTimeFormat class. forPattern() method returns an object of DateTimeFormatter which does actual parsing. You can see its very simple and safe to parse String to Date using Joda-time library. If you want to change the date format e.g. from "dd/MM/yyyy" to "yyyyMMdd" then you need to call the forPattern() again and get a new DateTimeFormatter instance. You can see that we are successfully able to convert "04/12/2014" into a java.util.Date instance of same value, and we are even to change the date format to accept String as "yyy/MM/dd" and successfully parse it too. What will happen if String is an invalid Date? If you try to parse an invalid date String using Joda time, you will definitely get an error something like ParseException of JDK. In fact Joda Time throws IllegalArgumentException like this when you try to parse an invalid date using DateTimeFormatter class : "java.lang.IllegalArgumentException: Invalid format" error in Java. For example in following snippet, our date format is dd/MM/yyyy but we entered date in some other format e.g. yyyy/MM/dd and that's why DateTimeFormatter from Joda is not able to parse it. Exception in thread "main" java.lang.IllegalArgumentException: Invalid format: "2014/11/23" is malformed at "14/11/23"
That's all about how to parse String to Date in Java using Joda Date and Time library. If you know this library, it would be pretty easy to learn the new Java date and time library introduced in Java 8. It is actually inspired by JodaTime and continued the tradition of immutable, thread-safe and less confusing date time API.